Winter is setting in at Ranthambhore and the change in weather has impacted the sightings which were in full swing throughout the month of October. However the 2 star mothers – T19 and T39 still are making brief appearances along with their cubs. 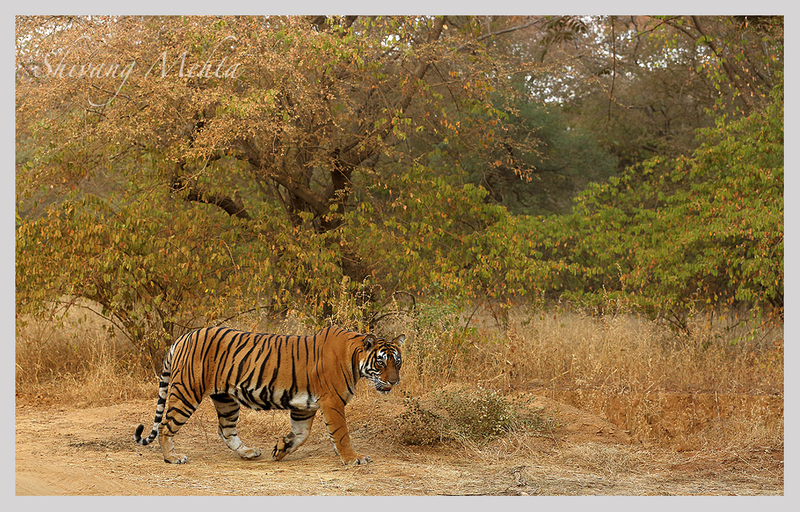 Here are some glimpses of Ranthambhore this November. 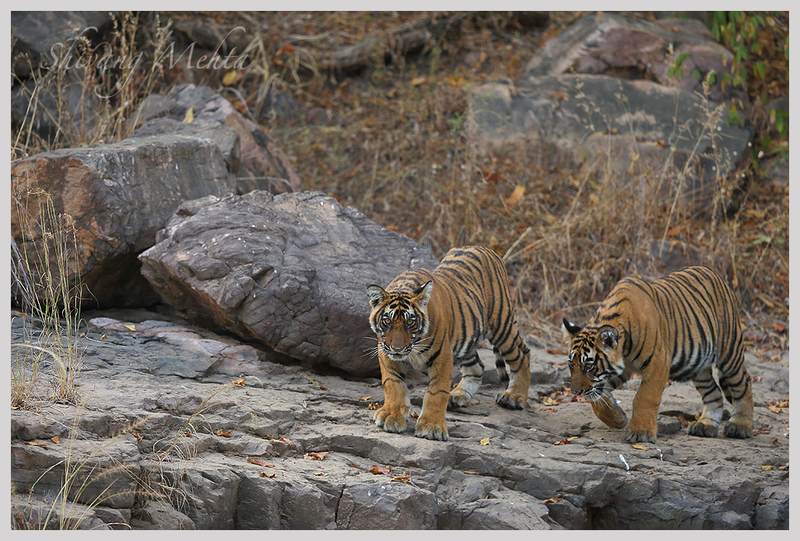 2 breeding females, cubs and a lot of photographic opportunities lie ahead in Ranthambhore this season. Have you planned your visit this season? 4 year old Vijaya was a bold, buoyant and a beautiful tigress. 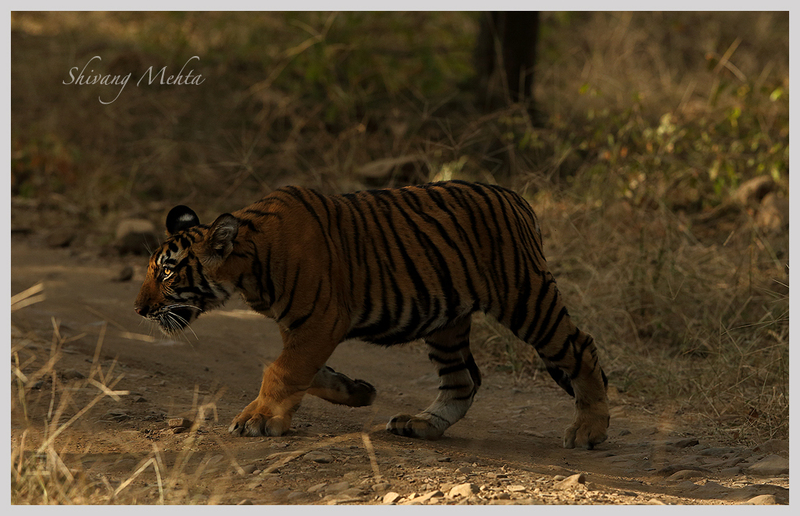 Like all striped kings and queens of Bandhavgarh she was a favorite for lens-men who yearned for her 1 shot. It seemed all rosy till the summers of 2010 but as the monsoons approached Vijaya’s ambitions grew bigger and bigger. She wanted to own one of the most pristine areas of tiger estate of Bandhavgarh – the stretch ranging from Chorbehra, Chakradhara right up till the Bandhavgarh fort. She wanted to be crowned as the new queen of the Tala range of the forest. The thought was good for this has been the dream territory of any tiger of Bandhavgarh. Legends like Charger, Seeta and B2 owned this piece of land because of its abundant prey base, yearlong presence of water, superb hunting ground and lots of shady comforts for rest after a tiring day in the forest. Competition understandably was quite tough for young Vijaya as 10-year-old Lakshmi (Langadi as she was locally called) was the limping tigress of this area and despite her physical limitations she was managing to rule Vijaya’s dreamlands. Lakshmi’s weakness apart from her sore leg were her young 10 month old cubs and since she relied on livestock kills her movement was restricted in the peripheral areas of the forest. The rains of 2010 turned the fortunes of Chakradhara. Vijaya knew of the soft cords of Lakshmi and she advanced towards her in what seemed like a lost battle for Lakshmi. However the aging mother put up a fight and the beautiful looking Vijaya lost her eye in this fierce battle. Vijaya’s aggressive streak was evident from this battle as in her fury of anger she not only killed Lakshmi but consumed more than half of her body. It all happened in a dark night of Bandhavgarh and all the forest department could find the following morning were the mortal remains of Lakshmi. The orphaned cubs are still fighting to establish themselves in Bandhavgarh. 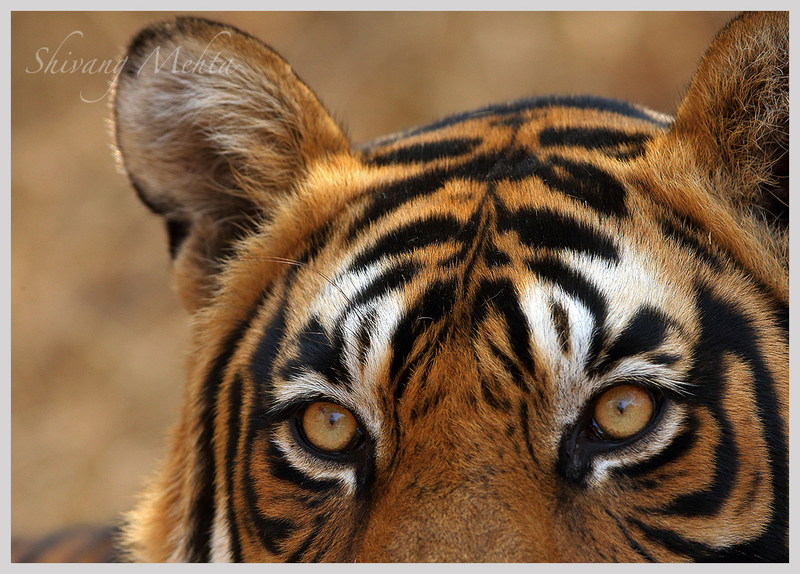 With just one eye and a huge territory that she won, survival for ambitious Vijaya seemed tough as tiger history across India has very few warriors who have been able to survive with such critical physical limitations. There was not a change in the attitude of lens-men too. The once beautiful female of Tala range was now being avoided because she wasn’t photogenic enough. Vijaya, however, had her strategy laid out. She knew that in order to survive and retain this estate she would need the company of a dominant male who could give her adequate protection. She hit the nail on its head by making the right choice as she eyed Shashi (Bamera male). The dominant male of Bandhavgarh with genes of a legendary family in the form of Charger (his grandfather) and B2 (his father), Shashi (locally known as Bamera male) was expanding his territory at an astronomical rate. He cornered his dad in one area of the park and acquired his legacy and added more land which he acquired on his own to roam about freely in more than a 100 square kilometer area. His rule was unquestioned and he was already the king of Bandhavgarh National Park. His frequent ventures in the Chakradhara and Chorbehra areas brought him close to Vijaya and in summer of April 2011 they were seen together for almost a week. Their 1 week honeymoon raised hopes for Vijaya’s legacy and she was set to be crowned as the next queen of Bandhavgarh. The news of Vijaya’s pregnancy was eagerly awaited as the timing of mating was perfect and it seemed that she would deliver before the forest closes for monsoons. Surprisingly within a couple of months the couple was seen together again in first week of June 2011. Was the previous mating just a strategy by Vijaya to bide some more time with Shashi or did the April honeymoon end up into a failure? There are some mysteries in the mysterious world of tigers that are hard to solve. Post the mating in June the forest closed for monsoons and the forest season post the rains started with a lot of anticipation. As the days of October 2011 passed the search for Vijaya was on and it was a sheer delight to hear the news of Vijaya licking her small 2-month-old cub on the rocky area of Chorbehra. Rigorous elephant patrolling revealed that she was raising a family of 3. Under the shadow of a father like Shashi the cubs had minimal risk of being killed by another male of the region. However tigers were not the only threat to these young siblings. Vijaya’s area had good movement of leopards and now the question was if Vijaya could see off the crucial period of the first few months when tiger cubs start exploring the world of tigers in the wild. The cubs were mostly in the bamboo thickets around Chorbehra and their sighting was infrequent. Vijaya was again gaining popularity amongst lens-men who knew that she was another legend in the making. Summers of 2012 was a season everyone was looking forward to as by March 2012 the cubs were growing up well. Mom Vijaya was now the supreme ruler of Chakradhara and her efficiency of hunting was at par with any other fully fit tiger. From large sambhar stags to wild boars she was hunting every prey though with some amount of difficulty but her perseverance was unmatched. Through the month of April the cubs were seen more regularly. One of the cubs was already showing signs of less dependency and always used to be away from the siblings. At times all 3 were seen together but most of these times mom Vijaya was out for her hunting expeditions as satiating hunger of ever growing tiger cubs is a tough ask. Finally in the first week of May 2012, Vijaya did something that is not a regular sight in Bandhavgarh. Early in the morning as the cubs were playing in Chakradhara grasslands, Vijaya made a deep throated growl and her entire family followed her. For the first time since they were born, Vijaya boldly displays all her cubs together as she marched alongside them. They marched like an army right up to the Vishnu statue and after seeking the divine intervention she climbed the hills of Bandhavgarh fort. The cubs survived through the monsoons of 2012 but with the springs of 2013 some new challenges unfolded for Vijaya for her protector – Shashi – the king of Bandhavgarh started loosing his battles with males intruding in his territory and was gradually pushed out of Chakradhara. During the months of March-April 2013, Vijaya boldly stood her ground with her battalion of 3 beautiful looking sub-adult cubs and even tried to deceive this mysterious new male by mating with him and making an attempt to draw him out of the reach of the cubs. However this futile attempts to shield her family went in vain as in May 2013 one of Vijaya’s cubs was found dead in the fort area. This was followed by the death of another cub in the subsequent days. A number of theories came into place post the death of the cubs. While the forest officials claimed that the cause of the death was the mystery male, another section of local naturalists believed that since the body of the cubs was partially consumed in the same fashion as Lakshmi a few years back, Vijaya – the brave mother – herself decided to sacrifice her family in order to retain her territory for she knew that survival would be tough outside this prime territory specially with her physical disability. The male cub from this litter who was also declared dead however separated from his mother and had set out on an independent journey in the adjoining areas of her mother’s territory. The hysteria around Vijaya died down for a prolonged period post the monsoons of 2013. Her sighting statistics dropped drastically and the entire focus shifted towards Rajbehra where a female was raising a litter of 4 cubs across the hill. As the saal bloom dried with the temperatures rising during the summers of 2014, Vijaya made a dramatic comeback by walking down the fort hills, with tiny little cubs. The scarcity of water in the upper areas of the fort forced her to come down to the low-lying areas with natural water bodies in order to beat the scorching heat of May 2014. 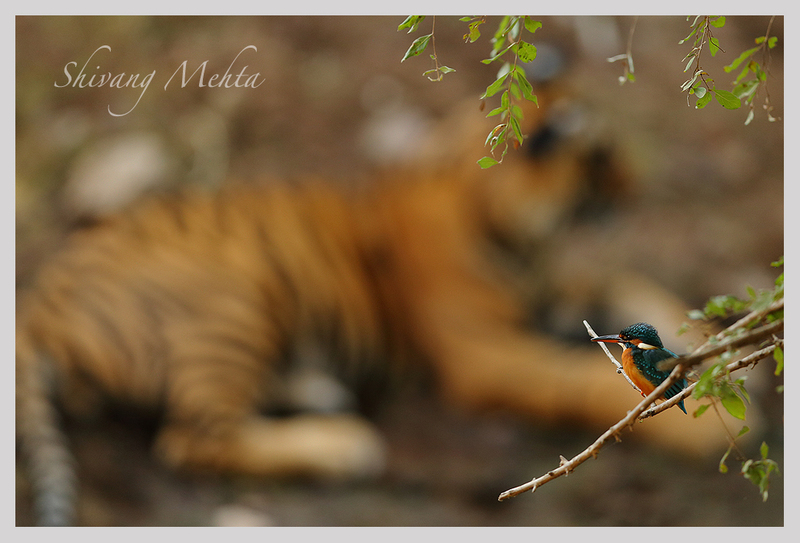 The queen of Bandhavgarh had again fought her battles against all odds to come up with fresh blood for the park. The meadows of Chakradhara were looking forward to be the playground for yet another litter and Vijaya was all set to be etched as one of the legendary tigers of India at par with Machali because of her resilient spirit. 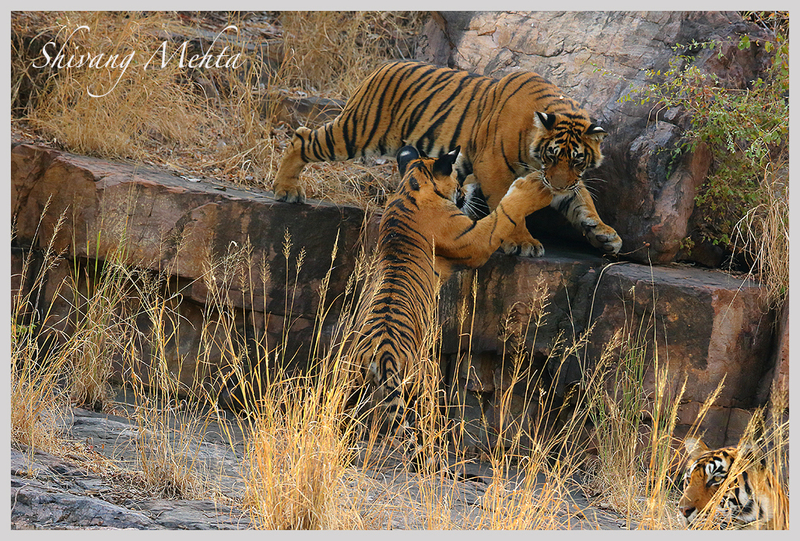 As the park closed for monsoons in June 2014, she had a challenge to face a tough period of 3 months and feed the 3 little striped souls. Tragedy struck again in Bandhavgarh when the forest department reported that a decomposed body of a tigress was found and a post mortem report revealed that Vijaya was declared dead. Post search operations by the forest department, 2 cubs were declared dead as well. While the entire wildlife fraternity of India mourns the death of Vijaya, her journey and her life showcases some of the true characteristics of this creation of God called The Tiger. A specie which has braved against all odds and continues to strive and survive amidst dwindling forest covers and increasing human habitation. A specie that can adapt brilliantly to changing environmental scenarios and has the grit and willingness to survive. Vijaya’s contribution to Bandhavgarh will be remembered for the longest time and stories of this one eyed queen would echo in my memories whenever I will be traversing through the woods of this tiger heartland of India. Could her death be averted? Shivang Mehta is a nature photographer and has spent more than 150 field days in Bandhavgarh documenting Vijaya’s journey since 2010.